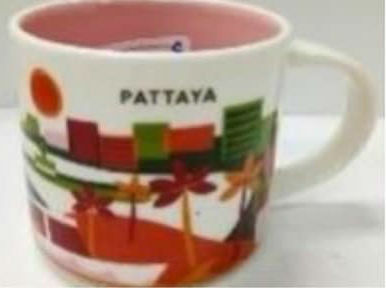 As for Pattaya mug, it is not an official release yet, but a sneak peek by an avid collector. We only have blurry images at the moment and so far I can see the ocean, the beach, palm trees and hotels along the bay – a perfect kit for an amazing vacation. But there’s more than that, Pattaya is well known for its nightlife and particularly “walking street” filled with bars, clubs and restaurants, where you can party till the early morning.